Paintings from the ‘Wells of Arthur’s Seat’ series will be on exhibition at the Citadel Bookshop, Edinburgh, from now to mid-August (see map below). I’m really pleased about this as it’s great to have the paintings viewable ‘in the flesh’ as it were – especially as I’ll be away up north for the whole of July, so they wouldn’t otherwise have been on exhibition. 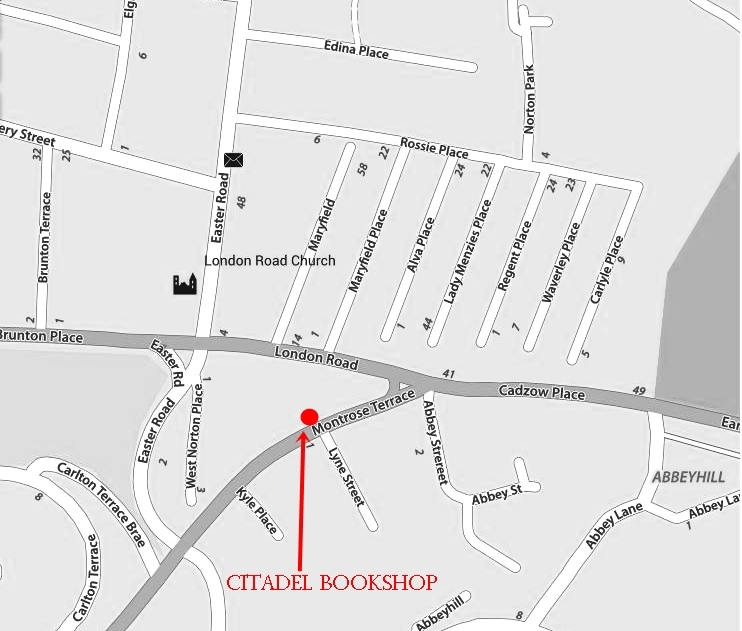 And here’s a map showing the location of the Citadel Bookshop .. 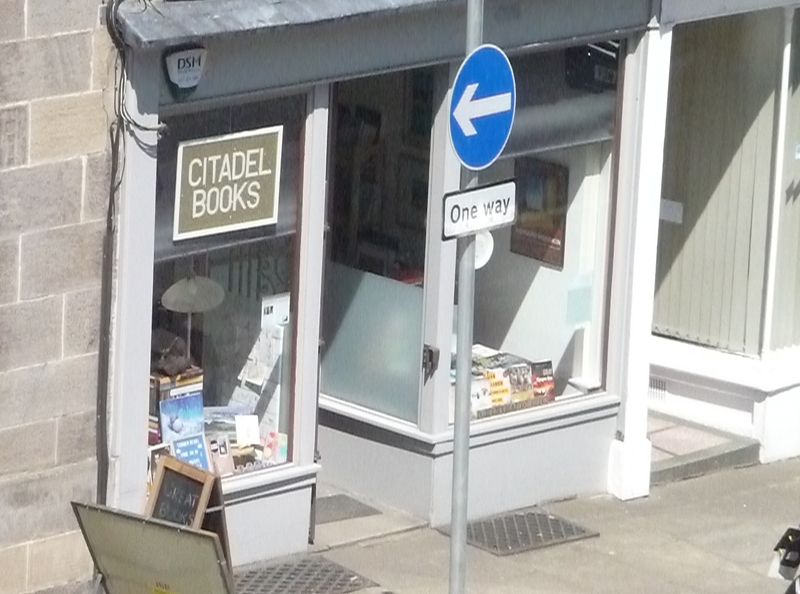 The Citadel is run by poet Alan Spence and his wife Janani and is open 1pm to 5pm Monday to Saturday (closed Sundays). Drop by for a chat (they’re both very friendly!) and enjoy a peruse of their excellent book collection, which includes many rare or unusual poetry editions among an eclectic selection of general literature. 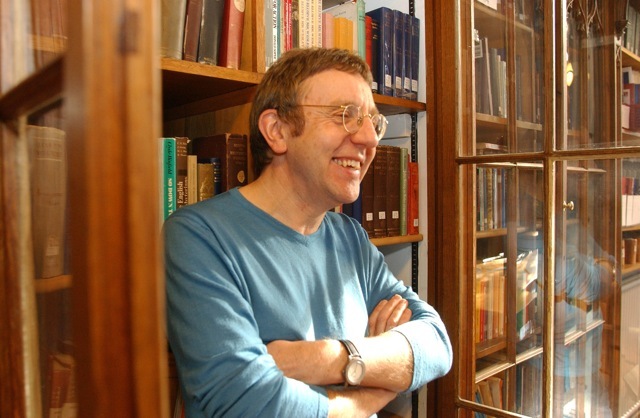 Alan was named Edinburgh’s Makar in 2018 (Makar is the Scots word for learned poet). His work explores Japanese culture and spirituality, including Zen traditions and Haiku poetry. In recognition of this, Alan was recently awarded the Decoration of the Order of the Rising Sun by the Government of Japan). I collaborated with Alan and cellist Atzi Muramatsu on the ‘Wells of Arthur’s Seat’ project these last two months. It was a pleasure to work with Alan for the first time – he and Atzi (with whom I’ve collaborated since 2013) brought much creative sensitivity and invention to the project. I recommend a watch of the 2-minute video below, which features poetry, cello and painting about a frog in Hunter’s Bog on Arthur’s Seat .. This entry was posted in Uncategorized and tagged Alan Spence poet, Arthur's Seat, Citadel bookshop, Edinburgh books, Edinburgh bookshops, Edinburgh exhibitions, Meditation Edinburgh, rose strang art, scottish landscape artists on June 27, 2018 by rosestrang. nal do on Trees ..